I always feel comfortable using Mac OS X. I dunno why, I always feel it is better than Windows or Linux for me. You can even remove the Apple hardware part, I’ll still love their software part very much. I was a Windows user for almost 10+ years, but I migrated to Mac OS X, like during my college final year. Mac OS X is awesome in every way it could be, but still, you might be experiencing some issues as time flies by. Your Mac device won’t be the same after some years. But don’t worry, there is always a way to overcome this. Recently some of my friends faced slow Desktop issues on their MacBook devices. So I searched for a solution online and came across this helpful tip, which I’ll share in this post. By default, Mac OS X tries to render videos and images (for icons) on your Desktop. This usually generates thumbnails for your files. This, in turn, slows down your Mac device in some ways. Now, we are going to disable them to speed up your Mac desktop. Now you’ll get this small popup, here ‘uncheck’ “Show Icon Preview” option. That’s it. We are now disabling the rendering effect. 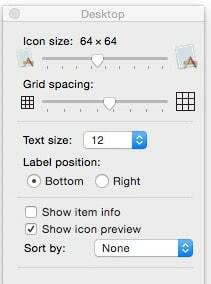 Now your icon previews will be just normal and it won’t have any effect, just the Apple file icon symbol. You can see the below example. Before and After pictures of ‘Show Icon Preview’ option. 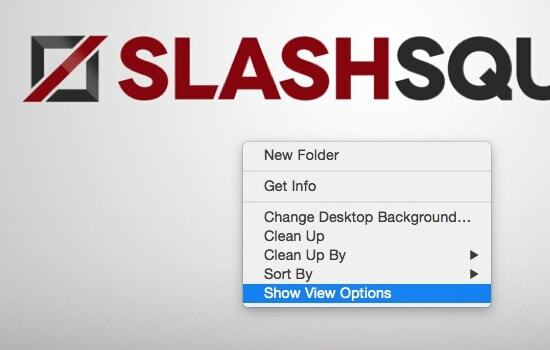 Most of us don’t really need this tip unless we face slow and sluggish performance, especially your Mac desktop area. You can try this option and see if it is performing any better. If you have any issues or if you have any queries with the steps mentioned in this article, kindly us know in the comments below and we’ll guide you right away.